On September 29, 1923, Turkey opened a new page in its history with the declaration of the Turkish Republic. Continuing with this new regime, the nation underwent radical changes, ranging from its form of administration to its educational system. The revolutions brought by the Republic began to be introduced to the people and put into practice, in order to display Turkey's new face to the world as soon as possible. As one of the products of Turkey's zeal to open to the west, the fine arts and performing arts, including music, naturally took their places in this development. The desire was to adapt music - one of the important branches of the arts - to world trends, and introduce Turkish musicians to the long-rooted European tradition of a conservatory education, and thus launch an entirely new period in Turkey. Consequently in 1924, with the passing of the Tevhid-i Tedrisat Yasasi (Educational Law), the Musiki Muallim Mektebi (Music Teachers' College) was founded. This was the country's first school for music teachers, which brought up the first generation of composers and performers. 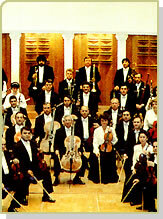 The Palace Orchestra which had continued its activities in Istanbul, moved to the new capitol Ankara, where it adopted the new name, Riyaset-i Cumhur Musiki Heyeti (Music Ensemble of the Prime Ministry). Immediately following these developments, two years later in the year 1926, the conservatory thereto known as the Dârülelhân, which had opened during the Mesrutiyet period, was changed into the Belediye Konservatuari (Municipal Conservatory; today's Istanbul University State Conservatory), which provided education in western music. That same year, the Tesbit ve Tasnif Kurulu (Determination and Classification Committee) was formed in Istanbul, in order to oversee the task of collecting folk music, recording it in western notation and creating an archive. During this time, the Riyaset-i Cumhur Musiki Heyeti, with a four-month European tour, assumed the duty of representing the cultural wealth of the newly-formed state. The newly opened music schools and other institutions began putting out their products within a year. In 1925, Turkish musicians who had gone to various conservatories in Europe were appointed to the Music Teachers' College. By 1927, a repertoire composed of various marches and polyphonic songs had been created, and from 1930 on, the first works composed with contemporary techniques began to come out. In order to assure the adoption and explanation of all these developments in every part of the country, the Halkevleri (Houses of the People) were established. The Riyaset-i Cumhur Musiki Heyeti became affiliated with the National Ministry of Education and took a new name, the Riyaset-i Cumhur Filarmoni Orkestrasi (Philharmonic Orchestra of the Prime Ministry), which was approved by Atatürk. After the conductor Osman Zeki Üngör stepped down, Ahmet Adnan Saygun directed the orchestra for a short time, and was later replaced by Dr. Ernst Praetorius, who continued as conductor until 1946. In a short time, with the successes of these schools and institutions, which had begun to display themselves within the country and (if to a lesser extent) abroad, the first period of Turkey's musical revolution was complete. In 1935, the General Administration for the Fine Arts was founded, followed by the Ankara State Conservatory in 1936, which trained Turkish Republic's second and third generation of composers. During the same year, the Music Teacher's School joined with the Gazi Terbiye Enstitüsü, becoming one of its departments, and brought in another German musician, Eduard Zuckmayer, as its director. Also during the same year, Ekrem Zeki Ün composed the first music for string quartet in the traditional interval system of Turkish music. In 1936, we see that Europeans visiting Turkey were not only providing advice to the conservatory; they were busy in other areas as well. The Hungarian composer and ethnomusicologist Béla Bartók came to Turkey that year and, researching the collection and evaluation of folk music in various areas of Anatolia, exchanged ideas with Turkish musicians, starting with Ahmet Adnan Saygun. This resulted in the founding in 1938 of the Turkish Folk Music Archive, within the body of the Ankara State Conservatory. During the same year, the Askeri Mizika Okulu (Military Music School) was opened. The musical revolution in Turkey was without a doubt launched with the aid of composers and performers who had devoted themselves to music, and to the progress of Turkish music. Starting in the 1940s, before the first generation of Turkish composers, who submitted their compositions to the world under the name "The Turkish Five," we must mention our musicians who, both as composers as well as researchers, laid the first foundations of our contemporary music along with the Republic. Valuable researchers such as Halil Bedii Yönetken (1899-1968), Mahmut Ragip Gazimihal (1900-1961), Cevat Memduh Altar (1902-1995), Dr. Suphi Ezgi (1869-1962) and Rauf Yekta Bey (1871-1935), as well as Muzaffer Sarisözen (1899-1963) and Ahmet Kudsi Tecer (1901-1967) put forth great efforts in order to educate the first generation of Turkish composers. The group of composers referred to by researcher and educator Halil Bedii Yönetken as the Türk Besleri (The Turkish Five) are Cemal Resit Rey (1904-1985), Hasan Ferit Alnar (1906-1978), Ulvi Cemal Erkin (1906-1972), Ahmet Adnan Saygun (1907-1991) and Necil Kâzim Akses (1908-1999). Of all our musicians, the Turkish Five made the greatest contribution toward the project, begun in the Republican period, to "disseminate and institutionalize western music." At first, starting out with the trend toward internationalism, they employed folk motifs as well. But later on these features faded into the background, and each developed his own original musical language. In addition to being the first representatives of the music of 20th century Turkey in European concert halls, the Turkish Five also served as teachers to the second and even the third generation of composers to come up within our conservatories. Among the other 20th century Turkish composers whose names we must mention are: Bülent Arel (1919-1991), one of the worldwide pioneers in electronic music; master representative of contemporary musical trends in Turkey, Ilhan Usmanbas (1921-); Nevit Kodalli (1924-), who has earned an important place with his compositions as well as the subjects of his works; Ilhan Mimaroglu (1926-), known for his electronic music as well as his articles and books; Ferit Tüzün (1929-1977), successful orchestra composer and composer of works based on Anatolian music; Muammer Sun (1932-), who, in addition to his compositions, has with his pedagogic projects made great contributions toward the progress of music education; Cengiz Tanç (1933-1997), who with his compositions has shown that Turkish works have attained universal dimensions; and composer, writer and educator Yalçin Tura, who has devoted his life to the advancement of Turkish music. These artists, following the Turkish Five, have made their names known in Europe and America, as well as in Turkey, which has succeeded well in absorbing contemporary art. Coming to the mid 20th century, we come across the third generation of Turkish composers: Okan Demiris (1942-), Sarper Özsan (1944-), Istemihan Taviloglu (1945-) and Ali Darmar (1946-). Following in their footsteps, composers of the fourth generation are all becoming known in the worldwide sphere with their successful works: Meliha Doguduyal (1959-), Hasan Uçarsu (1965-), Mehmet Nemutlu (d.1966-), Ali Özkan Manav (1967-) ve Ilteris Sun (1961-). Winning awards in the world's prestigious composition competitions with their works, these artists are making priceless contributions to musical education by training the Turkish composers of the century to come.